Greywacke Archives - Write for Wine: It's Wine O'Clock Somewhere!Write for Wine: It's Wine O'Clock Somewhere! We love Sauvignon Blanc with seafood all year round; but in the summer months, we absolutely adore the crisp, refreshing flavors even more. Sauvignon Blanc pairs perfectly with hot sun on the deck or warm summer nights. This wine drinks well alone, but it also pairs nicely with prawns, scallops and oysters, in addition to other seafood dishes, sushi, some cheeses, and grilled veggies such as asparagus. While the most popular style is “light and crisp,” other styles include “fruity and smooth,” “rich and creamy” and “elegant.” And some winemakers combine more than one style. The flavors can range from grassy to tropical. 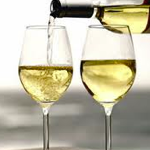 Sauvignon Blanc is both an old-world and new-world wine, grown and produced in Washington state, California, British Columbia, New Zealand, France and other wine regions. What many people don’t realize is that Sauvignon Blanc and Cabernet Franc are the parents of Cabernet Sauvignon. 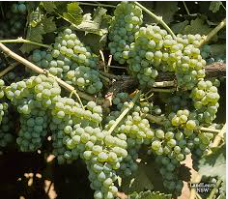 During the 18th century in Bordeaux, the Sauvignon Blanc vine paired with Cabernet Franc to parent the Cabernet Sauvignon vine.